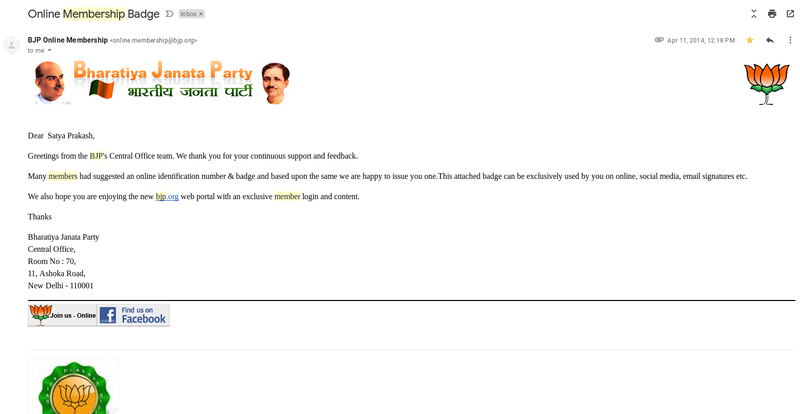 I paid donation to BJP in 2014 and membership amount to become member before Lok Sabha Election 2014. But, BJP became very strong after that and won many states elections too. Now, I hope, like me, many may be standing against BJP. It is a fascist party and Manuwadi and samanti party. Must be opposed. Not good for India. Dangerous BJP.